The wolf, an animal that has served as a symbol of Rome since ancient times, has returned to the historic Italian city for the first time in a century. The alpha predators were recently sighted in a nature preserve at Castel di Guido, only a short distance from Leonardo DiVinci international airport and the perimeter highway encircling the capital of Italy. Scientists estimate that there are at least four wolves (two cubs and two adults) that reside in the area. According to Roman mythology, Romulus, Rome’s founder, and his brother Remus were suckled by a female wolf in a cave after being abandoned on the Tiber River. This episode is represented throughout Roman iconography, including the seal for Rome’s soccer club, AS Roma. The return of this iconic species to Rome is welcomed by the locals. “We’re very pleased that they are back,” said Alessia De Lorenzis, a professor whose work involves tracking and documenting the wolf pack. Wolves were originally hunted in Europe and North America, nearly to extinction, in part due to their predation of livestock animals. The modern wolves of Rome seem to pose little threat to livestock as an analysis of their feces has demonstrated that they rely almost entirely on a diet of wild boar, a plentiful animal in the region. In Italy, the killing of wolves was promoted until the 1970s, a time when the Italian wolf population had fallen to about 100 animals. Wolves received protected status in 1971 and the population has since recovered to about 1,500-2,000 individuals, with a particularly robust population in the mountainous region on the border of France. Two photogenic wolf cubs caught on camera near Rome. 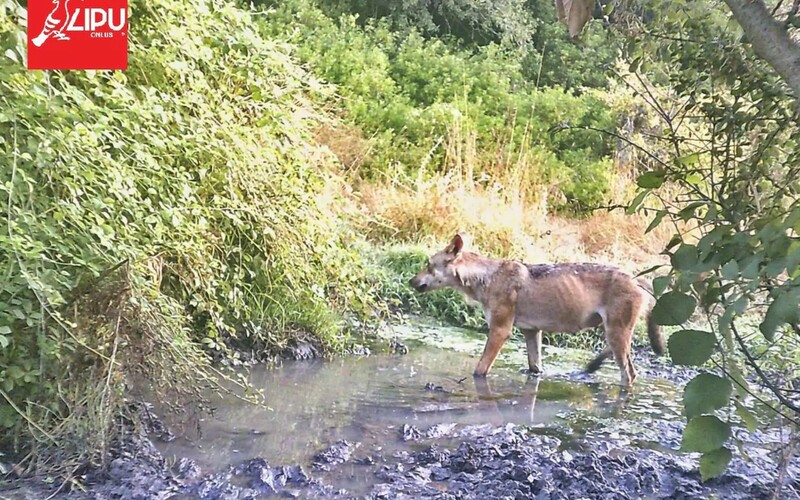 A lone wolf prowls in a stream in broad daylight near Rome. 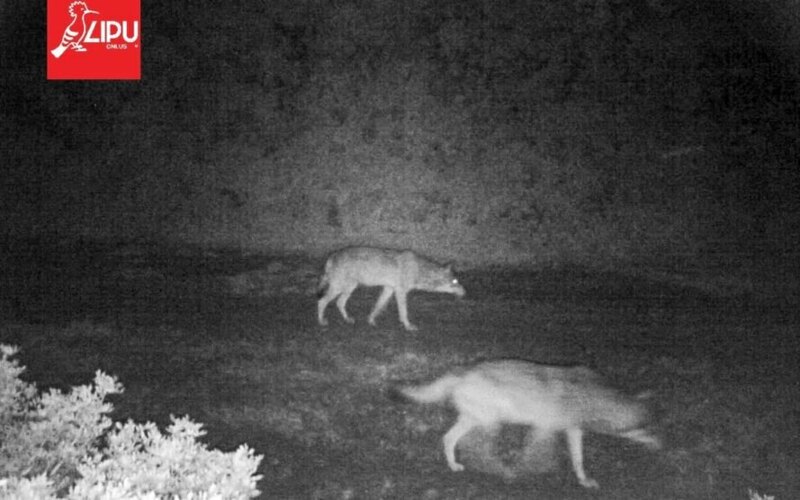 Two wolves explore the wild night at the Castel di Guidonear nature reserve near Rome.